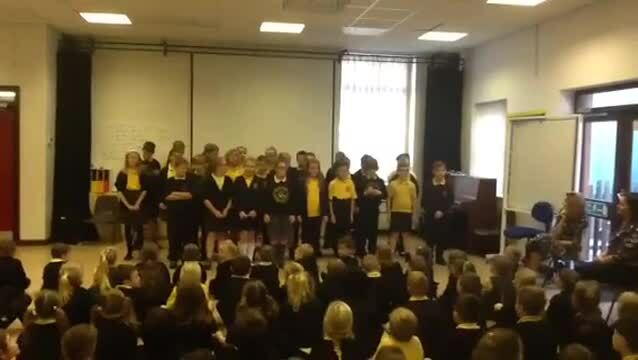 Our year 5/6 pupils sang a song about Harvest, complete with makaton actions. Our year 1/2 pupils sang a super song about how important and GREAT vegetables are! Our year 3/4 pupils read a poem with a play on Harvest time words. Our Reception children have been learning about where our food comes from. We read the story of "The little Red Hen," fantastically acted out here by four of our pupils. We then thought about the different uses of flour and made gingerbread men. Our pupils read and acted out their recipe as part of our Harvest performance too.